The last Conrail train over the Clinton Branch operated from Clinton to Lenawee Junction in March 1982. After this, the disused line quickly became overgrown with weeds and brush. 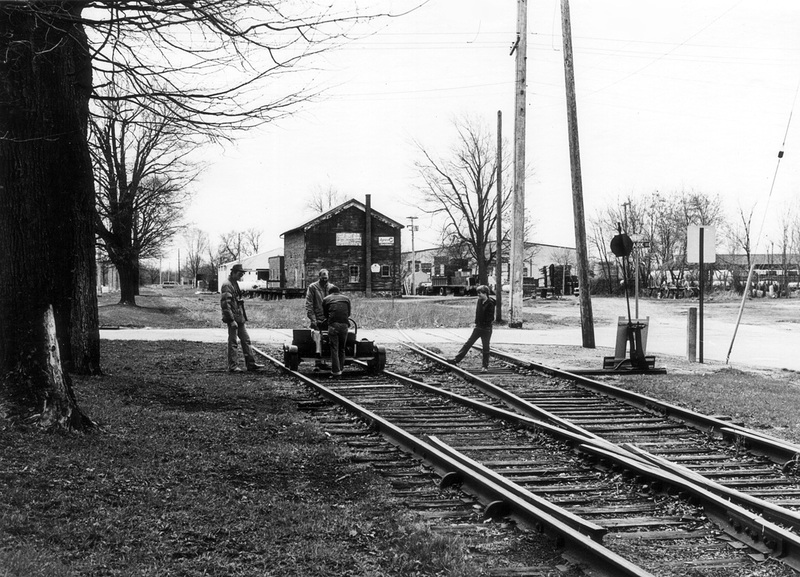 The Southern Michigan Railroad Society had been formed in 1982 to try and rescue the line, but fundraising and purchase negotiations with Conrail took a few years. In the spring of 1984, SMRS member Doug Leffler had acquired a Fairmont M9 motor car (ex-New York Central) and it was decided one Saturday to take it out to inspect the state of the Clinton Branch at that time. 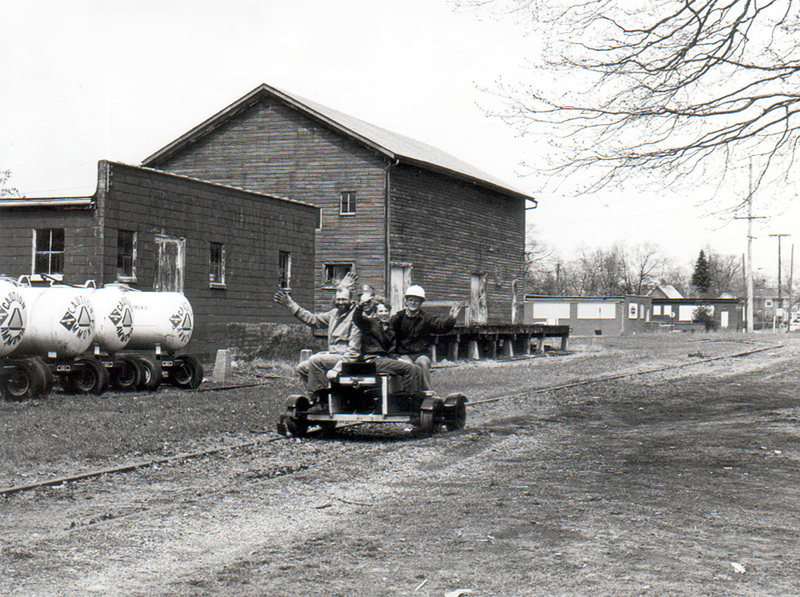 On 21 April 1984 a run was made from the SMRS museum building in Clinton to Tecumseh and back. As it was early spring, there was no plant growth yet, but the tracks were covered with dead weeds from the previous year and flangeways at crossings filled in, making it hard going. The crew also had to use hand saws to clear branches and fallen trees at some points. The run was a success, and being able to see the line close-up refreshed our efforts to preserve it. 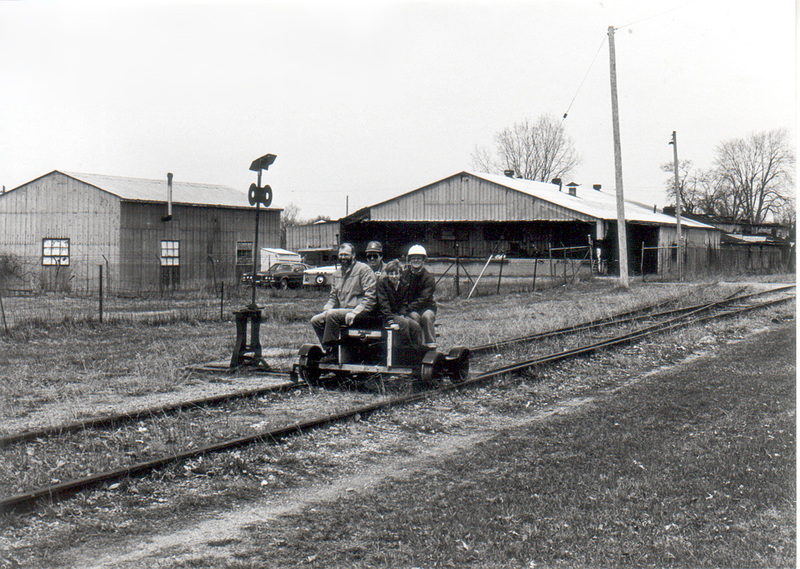 Not long after this, the first motor car belonging to SMRS became operational, and work sessions began to clear brush and open up the line again. Present on the run were Doug, his son David, friend George and this blog’s author. 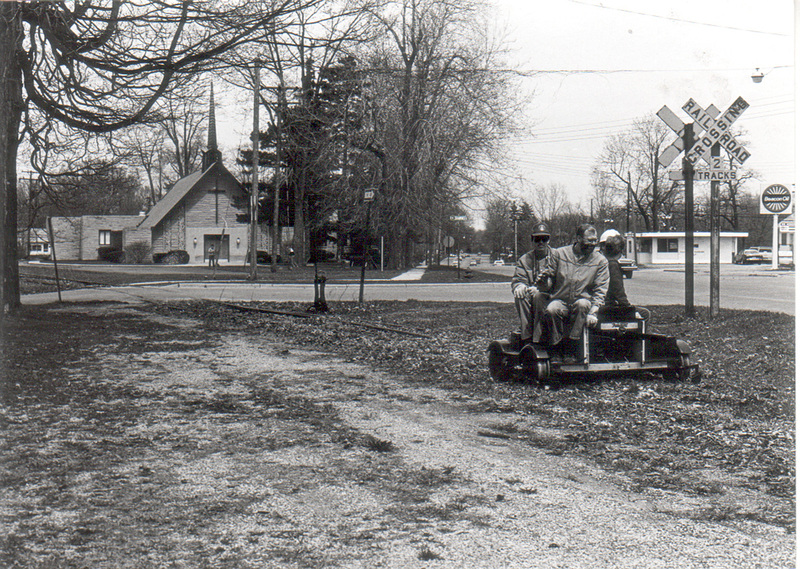 Gerald Grossman followed the run by car, and took the following photos to mark the occasion.